My wife and I were fortunate enough to go on a “vacation of a lifetime” to Europe, where we spent time in London, Paris, and Rome. We had a great time in all three cities, but when we arrived at the airport in Rome we found ourselves a little bit lost, and in need of help. We had made some purchases that qualified for tax-free status and we needed to submit the claim form to have our taxes returned to us. Airline staff directed us to a few different places, none of which were the correct place for submitting the forms. It took way longer than expected and left us feeling a bit frantic as we really didn’t want to miss our flight home. In the end, the sign for the correct place was small and underwhelming. I look back on that experience and I’m happy it worked out in the end, but in the middle of it, I knew we were stuck. It was either figure this out or flush away good money. I didn’t have much of a choice. I had to follow those instructions, get lost, find the way back to the correct place and finally figure it out. I wonder if my experience in that airport parallels the guest experience at many churches. No one really knew where I was supposed to go, and when I finally got there, they still didn’t seem to have it all figured out. 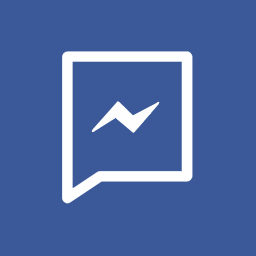 As leaders in our Guest Ministries, we have an opportunity to avert the kind of situation I experienced in Rome and make the experience easy and more enjoyable for our guests. 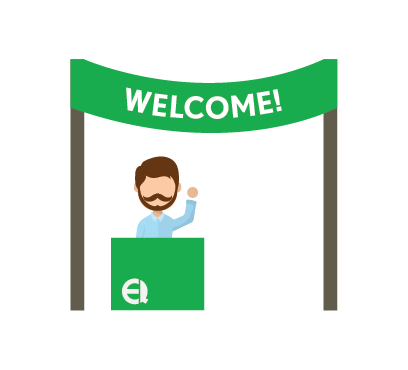 Creating a centrally located Welcome Center is a great way to improve the guest experience, and also empower your members to invite people to your church too. To order a Welcome Center click here. Your Guest Welcome Center should be in a central location that is right in the middle of the path a guest would normally follow anyway. Guest Centers can take many different forms from vertical banners next to tables all the way up to towering purpose built kiosks. However you build it, make sure it’s easy to find for people who know nothing about your facility. I once visited a church where the person at the Welcome Center didn’t know where much of anything was. Needless to say, they weren’t very helpful in my quest to learn more about the church. 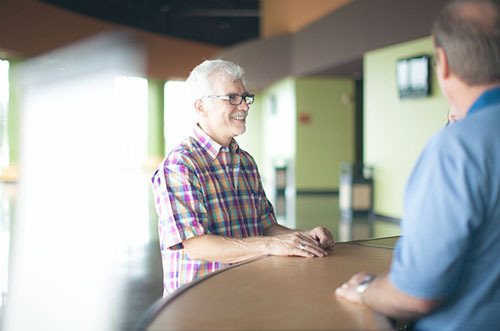 Make sure your Welcome Center Volunteers are outgoing, welcoming and knowledgeable people who have lots of answers about the church, or know where to find people who do. Many churches have volunteers in place before a service, but don’t forget about after your service, too. This can be a great opportunity for a guest or member ready to take a next step to engage with someone to help them do just that. Side note: Don’t forget to have door greeters and parking lot attendants as people exit, too. Make sure your guests' experience ends on a high note! Having a well-staffed, well-stocked, centrally located Welcome Center is a huge part of your Guest Ministry, and if you get this right, it makes getting the rest of your Guest Ministry right a lot easier.